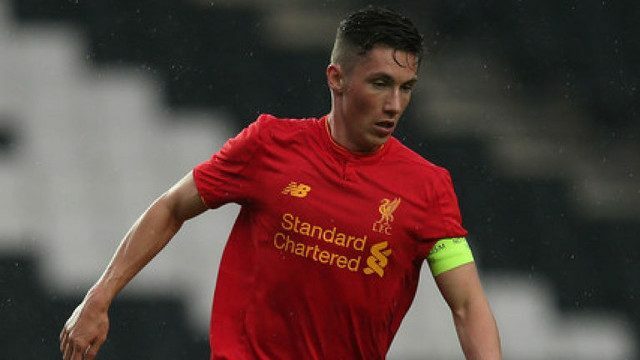 Liverpool U23s captain Harry Wilson is hopeful that he will eventually get his opportunity in the first team if he can maintain his strong form. The 19-year-old endured a disappointing loan spell at Crewe last season, only managing to make seven appearances before the deal was cut short in December. The Welshman has been a consistent performer under U23s manager Michael Beale this season and is finally enjoying a run of games after being hampered by injuries in recent years. He was on the score sheet in Liverpool’s recent 2-0 derby win over the Everton U23s and, including friendlies, has scored 10 goals so far this campaign. Jurgen Klopp has given the club’s youth prospects greater hope after recently handing first team opportunities to the likes of Ovie Ejaria, Trent Alexander-Arnold and Kevin Stewart. The focus towards quality over quantity in Liverpool’s youth setup sets Wilson in good stead in terms of his talent being recognised and potentially used. He has the quality. It will just come down to whether he can prove this over a run of games.